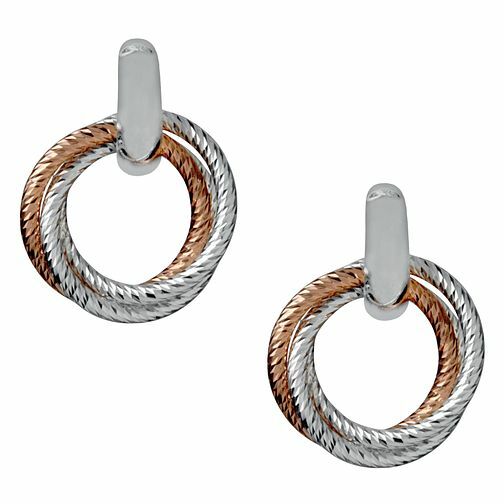 From the Aurora collection, these distinctive earrings combine three hoops in silver, gold and rose gold tones with a textured finish sure to give any outfit a touch of sparkle. Offering exquisite craftsmanship and visionary designs, the Links of London collection presents a charming blend of classic and contemporary. Links of London Aurora Rose Gold Vermeil Cluster Earrings is rated 4.0 out of 5 by 1. Rated 4 out of 5 by Anonymous from Birthday gift Having received the Aurora necklace as a birthday gift I decided to treat myself to the matching earrings. They are lovely , very sparkly and I get lots of nice comments when wearing the necklace and earrings together . They are on the pricey side though and that is why I have only given them a 4 star rating. My local store did not stock them so I had to order online and collect in store .